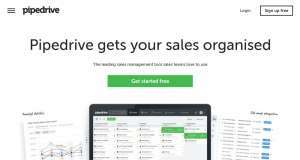 Pipedrive is a cloud-based sales CRM that helps you to streamline the sales process for your business. The company was started in 2010 by a duo of experienced sales managers. Thanks to its large number of features and the powerful integration, Pipedrive is used by 50,000+ companies worldwide. Pipedrive specializes in helping you to set up an activity-based selling process. It provides you with the necessary tools to control the actions that will lead to sales. 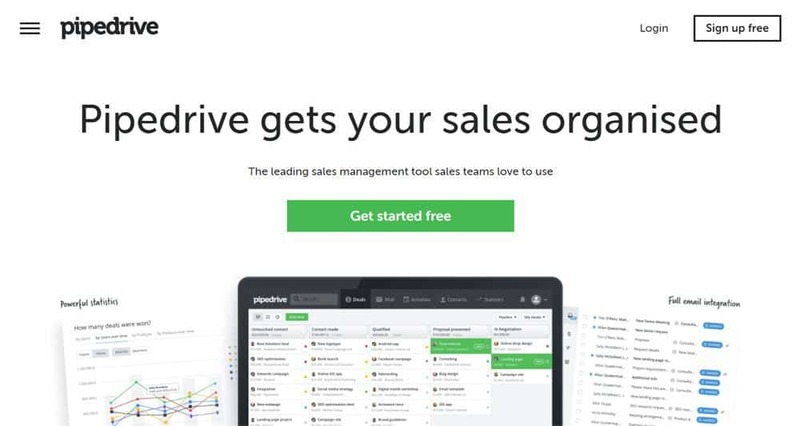 If you are looking for a new CRM solution with a strong focus on increasing sales, Pipedrive will be an excellent choice for you. It allows you to create custom products with a unique code, production cost, special notes, etc. Silver: For $10 per user per month, this plan includes all the sales management features, small email BCC, 2GB storage per user live chat and email support. Gold: Priced at $24 per user per month, the Gold plan offers all the benefits of Silver. What’s more, you will also get full email sync, 5GB storage per user, and customizable email templates. Platinum: For a monthly priced of $63 per user, this plan includes all the Gold benefits. You will also enjoy 100GB storage per user, phone support along with advanced speed and reliability. There is a free trial to help you get a taste of the feature before you choose any of the premium plans. The Pipedrive support center includes detailed documentation along with quick help, FAQ, and webinars. It is also possible to use the live chat feature to get help for any advanced issues. Mobile apps for managing your sales activities on-the-fly. Storing customer data in the cloud might cause legal issues for some businesses.